Here is a list of some of the current sponsorship locations (CSAs, Community Gardens, etc.,) if this grows there are locations waiting for bees! As I know adoptions will continue to grow I’d love to hear nominations for new “public” sponsorship locations; please talk to representatives of such places and have them e-mail me about getting adopted bees for 2013. This Location for adopting a hive or partial sponsorship with your funding is a sustainable family farm producing a wide variety of farm goods under organic management practices. 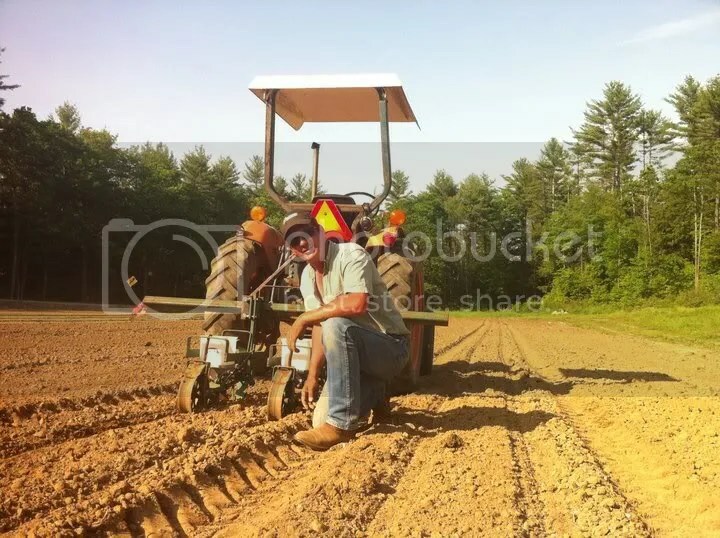 Their vegetable production, hayfields and pastures are USDA certified organic by the State of NH. They also raise natural grass fed beef, lamb, pastured pork and poultry and produce maple syrup. My connection is that this is the CSA Farm that I received my vegetables from. Bees means pollination and pollination means more vegetables, more vegetables means better shares for members! Urban Bees – The growing center does so much, there is a vibrant public space that holds many activities, has a peaceful quite walking path to retreat to, and has a presence outside its actual space by bringing seedlings to farmers market and more. If you are from away Somerville is a vibrant urban city with many influences, located north of Cambridge (Harvard/MIT) which has always had a turnover of working class immigrants and has grown to be a gathering of artists and very hip areas such as Davis square. My connection: when I lived nearby I’d see folks from here at the Union Square Farmers Market so I went and checked the place out. My wife first volunteered then we spent a lot of time as she did the distribution of the Red Fire Farm CSA at the Somerville Community Growing Center. I’d help and watch our young toddler while she had 120 people queuing to get veggies, a restaurant pickup (Diesel Coffee shop), and a pickup for CSA delivery by bike. 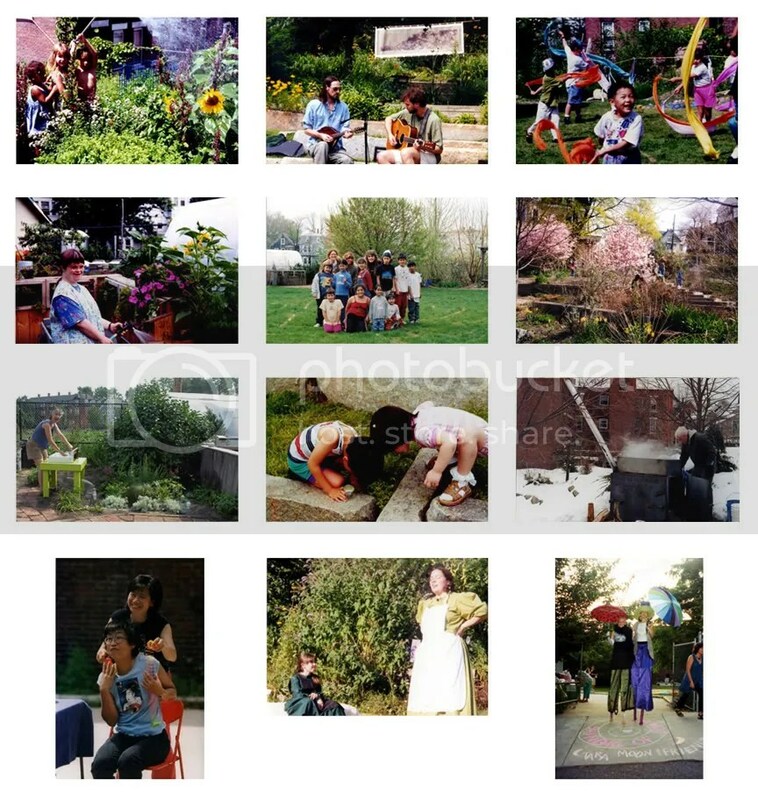 Now days I return to the Somerville Community Growing Center to attend the annual Fairy Festival in September and see many of our old friends. I’d love another reason to continue to stay connected to and support this wonderful place. My connection: I love Wilton and I want more excuses to go there. Its little but has a movie theatre in the awesome looking town hall building that shows only the best of main stream, and shows artsy or foreign or less known films too for cheap. Also I’m addicted to chocolates and some of the best are at Nelson’s Candy in Wilton. Its also in the direction where the close hiking is and instead of driving to the Whites, if i do bees in Wilton I can keep going to adventure. So while other places are connected to my past, this community garden is where I want some of my future time to be. 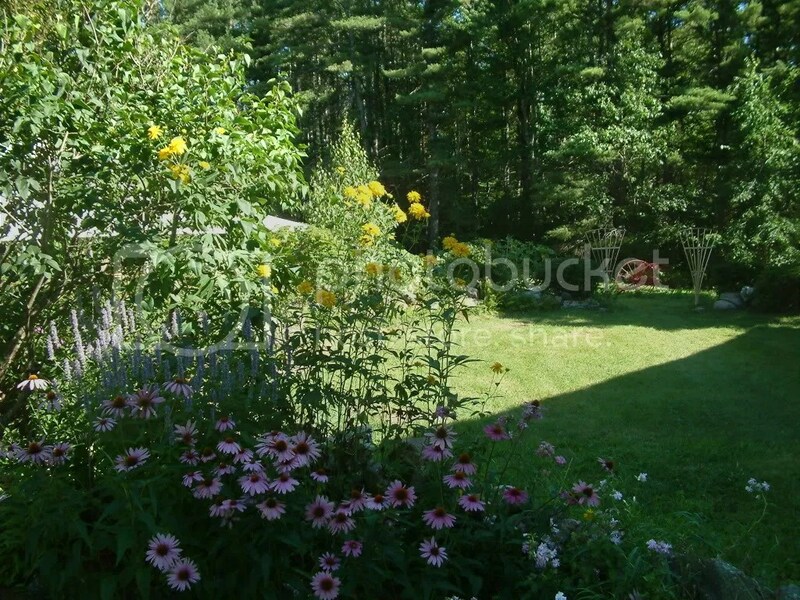 This location for adopting a hive or partial sponsorship with your funding is an Educational Homestead – School for the Arts spearheaded by Andrew Weeks, Aly Perry and Cody Fosbrook in rural Brookfield, New Hampshire. 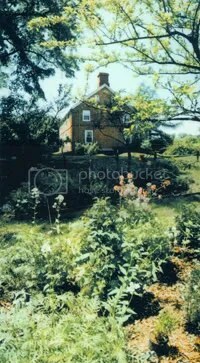 This 190 year old New England farm will be the setting for several infrastructure projects this spring 2012 to get the homestead off it’s feet. Some of these projects will have educational elements to them, setting up the bee hive, fixing the foundation on the old shed, and building a cold sink greenhouse to name a few. These projects will be open to a few folks that are interested in learning and willing to chip in. This spring’s infrastructure agenda aims to set the stage for more artistic endeavors this summer including performances in the barn and some small classes. The long term goal for Coleraine Farms is to create a healthy, sustainable living environment for the folks living on the land while sharing it’s resources with the surrounding communities through educational programing, events, and the products of our labors. My Connection (you’ll note whether its a community garden or a CSA, up north in NH or downtown Boston, I’ve chosen places that I have a personal connection with, that way I’m already committed to them): When I lived on this street as a child I was the ninth generation of the Weeks family to have lived at least part of their life there. I helped farm here as a kid in the summers and in a couple of weeks I’ll be leasing this farm out so it can become the excited part of the community (600 people including kids in Brookfield) that is described above. This location for adopting a hive or partial sponsorship with your funding was built in 1710 by Samuel Weeks (1670-1746), is among the earliest brick houses in New England — and may be the oldest made of bricks fired on the site. The farmstead established in 1656 by Leonard Weeks (1633-1707) remained in the family for over 300 years. Today the 33-acre farmstead includes conservation land laced with hiking trails for public enjoyment. The garden beds comprise a typical housewife’s garden of the late 17th century, which contained all the herbs and plants essential for a New England household. There are also two vegetable gardens that are about 16 by 25 feet that were added in the tradition of a Victory garden. Plantings of only open pollinated vegetables, no hybrids, so there is a huge need for pollinators. Using only organic growing methods and have never used any chemicals or synthetic fertilizers on the gardens. All extra produce is taken to the Seacoast food pantry and last year we provided the pantry with squash, potatoes, onions, and tomatoes. There is also a small orchard with pear and apple trees as well as grape vines. My Connection: As an eleventh generation Weeks, with Samuel and Leonard being my ancestors I am deeply connected to this Historic site and support its non-profit mission. I am very interested in your program, on several levels. I work in land conservation and many of my conservation projects have protected important farmland in Hillsborough County, NH (including Middle Branch Farm on Colburn Road and Temple Wilton Community Farm field on Gage Road); I would be happy to share this opportunity with others farmers I work with. I also own an old farm that I have been working to restore and bring back into active agriculture. The property is about 1 mile from Middle Branch Farm and we are leasing some of the fields to a Certified Natural vegetable grower (Random Hill Farm). I would be interested in obtaining some hives for home. Ian, Great to hear from you. 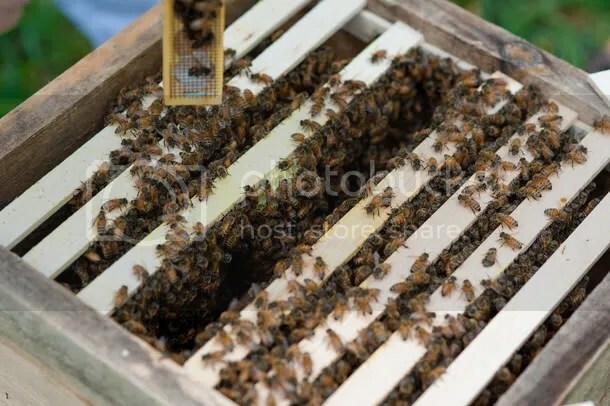 Since I’ll be breeding bees at Middle Branch Farm it is exciting to hear about opportunities to have more bees nearby (adding more drones from local survivor treatment free hives) as the queens often pick a drone congregating area for breeding that is a bit further from the one that drones from that apiary use. Unless I get more people to adopt hives for this year that may be all tapped out as time is running out, and kickstarter funding completed. For next year I’m hoping to do a large adopted/sponsored hive drive. I’m about to edit the site, and let people know time is running out for 2012 getting a hive at their home, as technically bees ran out weeks ago and I’m currently pulling favors to be able to get local treatment free bees for new places. Would need payment ASAP. Send me an e-mail-HiveAtYourHome @ gmx.com. There is still time and would love to bring hives to YOUR home.